A number of years ago, I developed immune issues and became allergic to almost every food on the planet. That crisis forced me to look at the foods I was putting into my body and make drastic changes towards healthier choices. 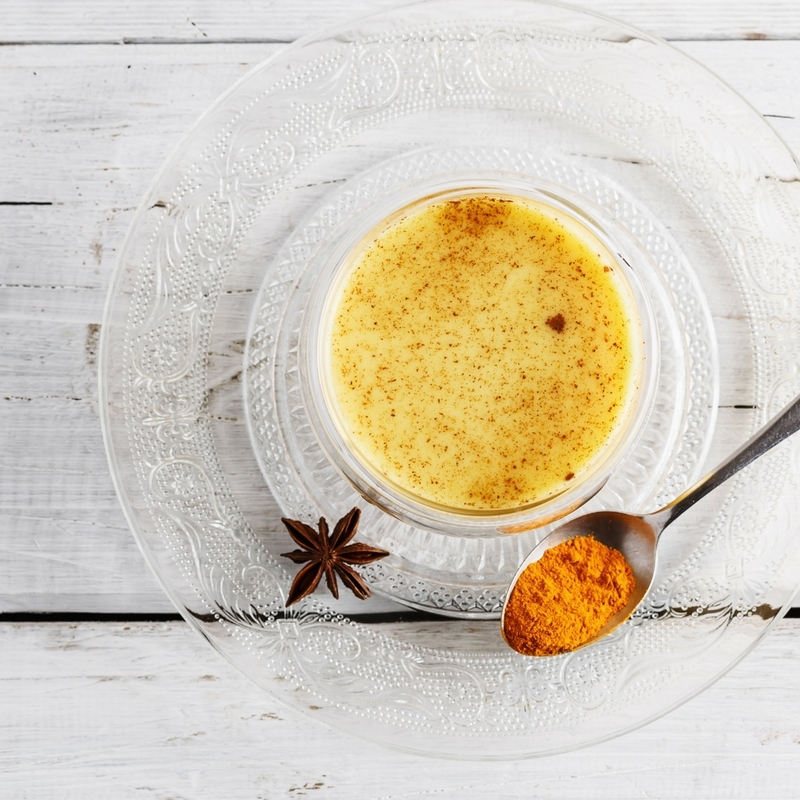 Along the way, I discovered the amazing healing benefits of both turmeric and cardamom. That’s when this tea became a part of my life forever. Turmeric Coconut Milk Tea originated centuries ago in India, where turmeric was and is still used as a natural healing remedy for everything from colds and flu to most illnesses in general. This unassuming yellow beverage comes by many names including Golden Elixir, Turmeric Latte, Golden Milk, and on an on. There is also no shortage of the variety of recipes you can find online for this powerful sip-worthy drink. Fresh turmeric to dried, cinnamon to nutmeg, honey to ginger, and any number of ingredient choices that help customize a drink that is perfect for your pallet. The best part of this drink is that you can play around with the flavors to find the one you like best. I like to keep my recipe simple to make so I will make it often, yet delicious enough for most people to love. So the next time you are feeling under the weather or just want a cup of pure goodness to sip on, reach for this recipe and whip up a batch. Your body and health will thank you for all the love you are showing it with just one cup of tea. A wonderfully delicious healing tea made with turmeric and a touch of cardamom, best known for its powerful anti-inflammatory properties which can also improve digestion and overall health. In small pan over medium heat, bring coconut milk and water to a simmer. Stir in honey until dissolved. Sprinkle in turmeric powder and cardamom pods, whisking until the powder has dissolved, about 30 seconds. Pour tea into two cups. Remove the cardamom pods and discard, or leave them in the tea to steep and enhance the flavor. This sounds so good and to know that it helps the digestive issues is great! I am going shopping tomorrow so I will add coconut milk to my list! Oh good! It’s a great healer for your entire body. It’s especially effective for inflammation. Let me know how you like it! Did you use boxed coconut milk? or canned coconut milk? I agree, Laurie. I love Trader Joe’s coconut milk too. That’s the one I use for most of my recipes that call for coconut milk. Thanks for point that suggestion out!